The Rational Group which operates the popular PokerStars brand has finally released a statement about ..
PokerStars has announced the schedule for Season 7 of the Latin American Poker Tour (LAPT). ..
2013 was a huge year for poker throughout the world. In the United States we .. 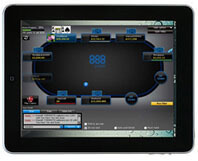 The Borgata Hotel Casino & Spa which operates its online poker site at https://poker.theborgata.com/ offers one of ..
One of the easiest ways to play online is on a tablet device such as .. The tainted Revolution Gaming Network is now officially on death watch. The network has seen .. The MPN’s World Sit ‘n’ Go Masters (WSM) which is a €750 buy-in has been won by ..
PokerStars has announce the Season 8 schedule of the Asia Pacific Poker Tour (APPT). 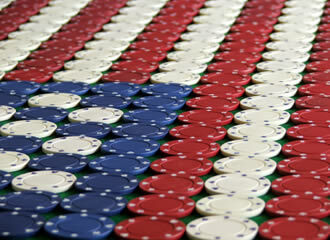 The ..
Full Tilt Poker has announces a new promotion called Bust a Pro which will give ..